When Natasha Kmeto burst into a soaring cover of “Gimme All Your Love” during her San Francisco show last Wednesday night, I felt like crying. 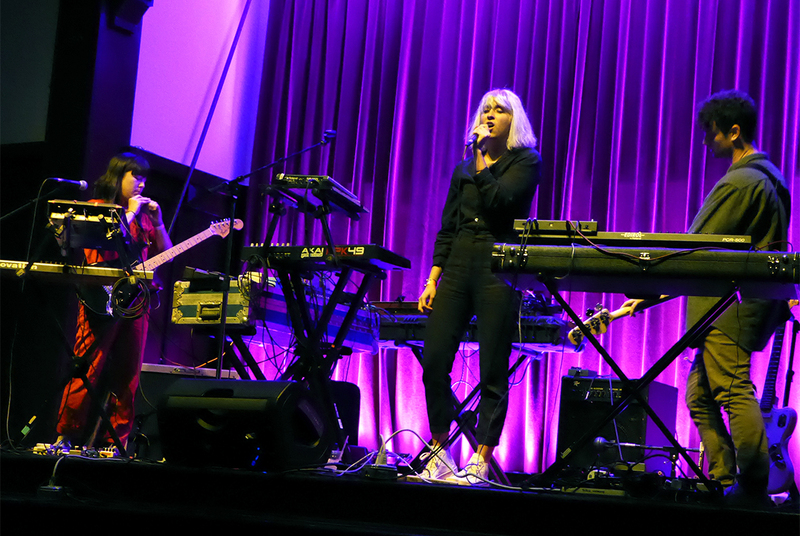 The atmosphere during the intimate performance was moving: The rain outside, the venue’s strung lights, wooden floors, and high ceiling, as well as the warm presence of both Kmeto’s mother and her wife, all made the night feel special. 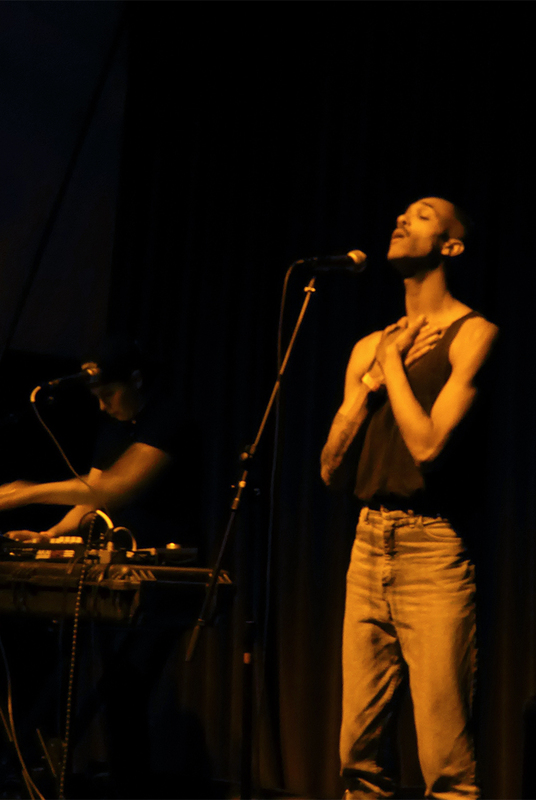 The Alabama Shakes cover sealed the emotional deal for me: Kmeto’s voice burst forward, I involuntarily gasped, and I left the show feeling renewed. 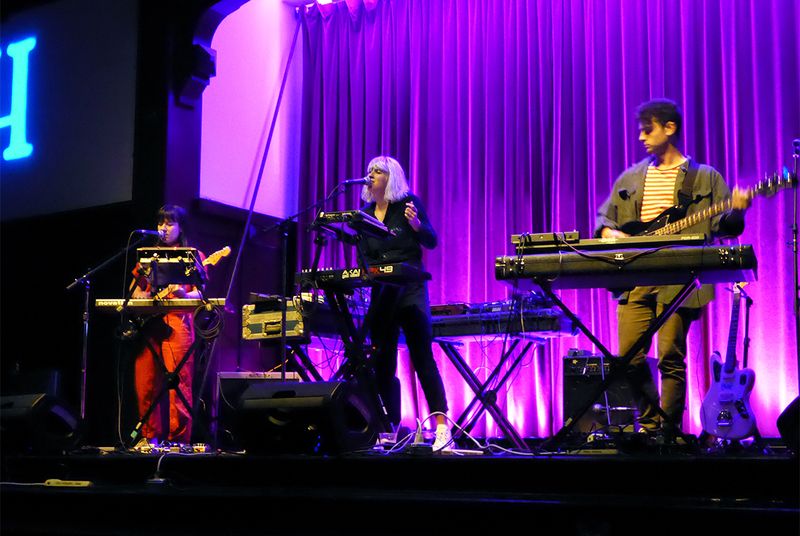 In fact, the entirety of her performance at The Swedish American Hall on November 16 was noteworthy. 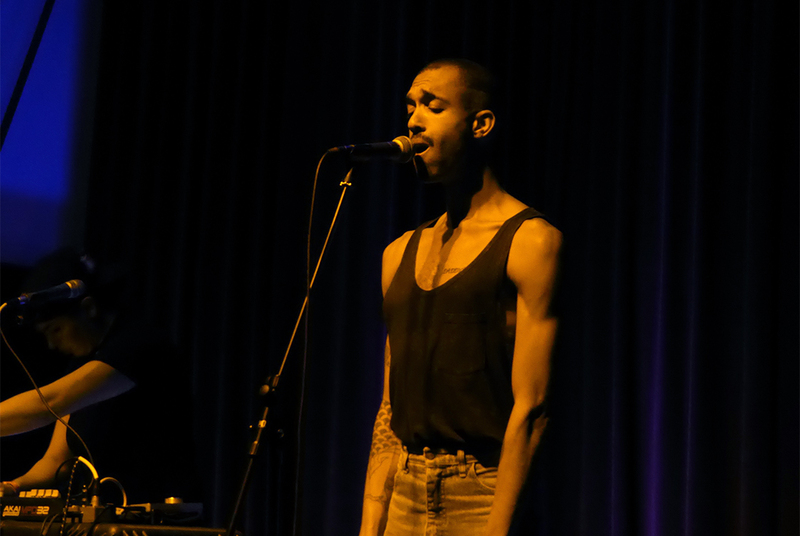 Kmeto’s vocal performance is remarkable — truly rich, with wide range and vibrant tone. But while Kmeto’s voice is what most awes onstage, it is also clear that she is a talented and dedicated producer. Kmeto writes and produces all of her own tracks, and has done so for years. 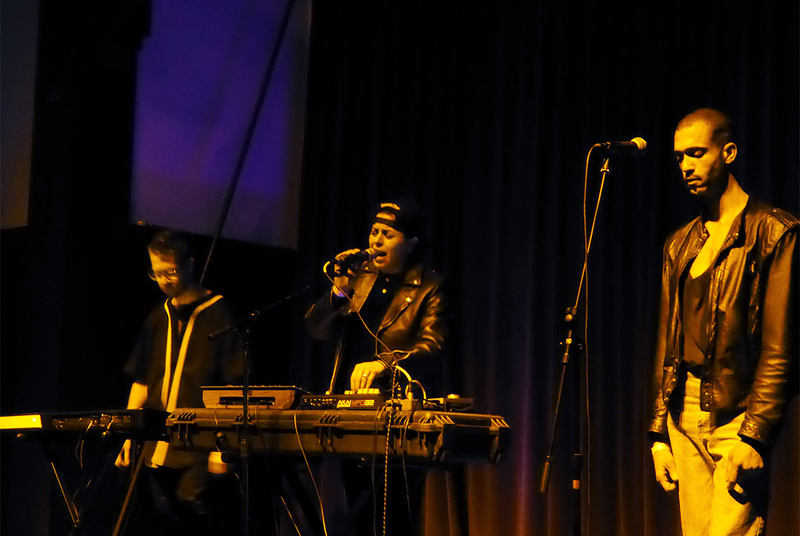 The artist toured entirely alone until recently, when she added two new musicians to her touring roster: Damon Boucher on keyboard and Donovan Edwards on backing vocals. The addition of two backing musicians added interesting depth to the performance, and Edwards’ work as a back-up vocalist was compelling. While Kmeto moved rapidly onstage, dancing and manipulating sounds, Edwards was still throughout the set — framed by spotlight, he was ethereal. Edwards' hands floated on stage, either framing his microphone or reaching towards the ceiling, and his vocals, too, were ghostly. 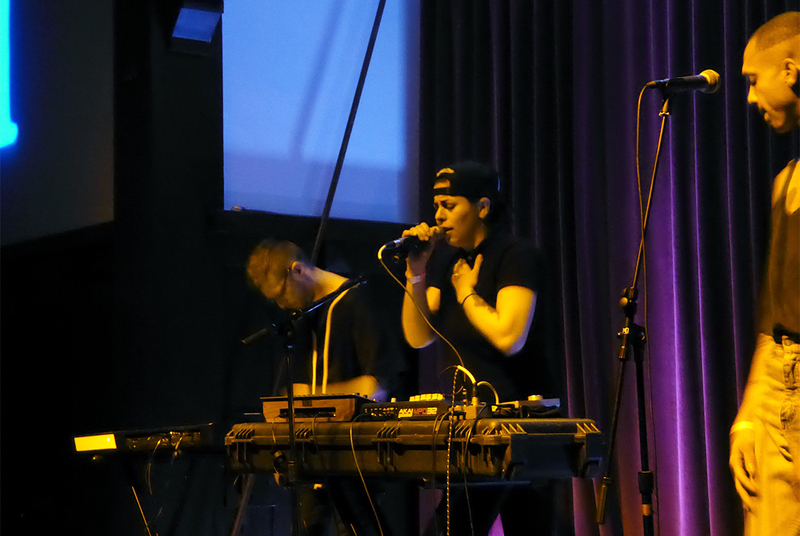 The addition of Edwards brought a new element of lightness to the set — brightening Kmeto’s electronic pop until it felt like something holy. 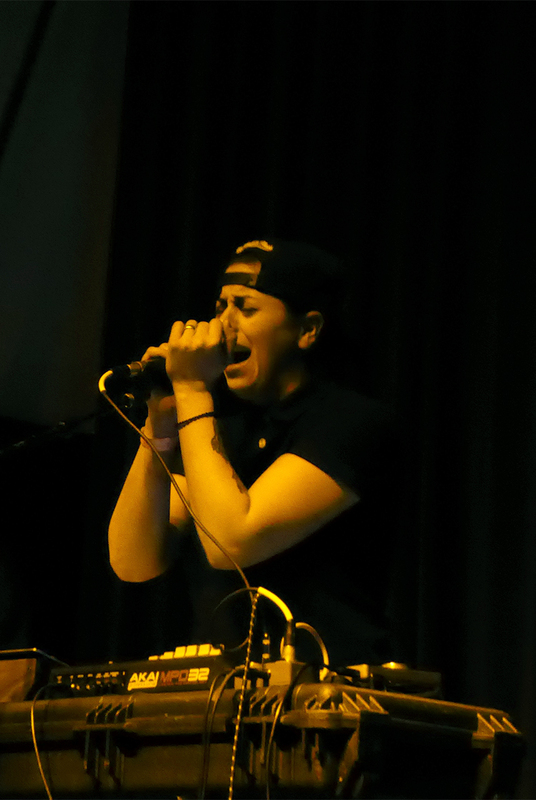 Kmeto’s position as a queer woman within the world of electronic music sets her up for institutional frustration, but her pure talent and passion casts a bright light on her career. Part of Kmeto’s draw is the unapologetic way that she weaves lyrics about struggling identity politics with irresistible dance beats. It’s hard not to move when Kmeto is performing, and it’s hard not to feel connected to her music. This, too, is political: claiming a stake in the dance floor, in personal narrative, and in being visible. 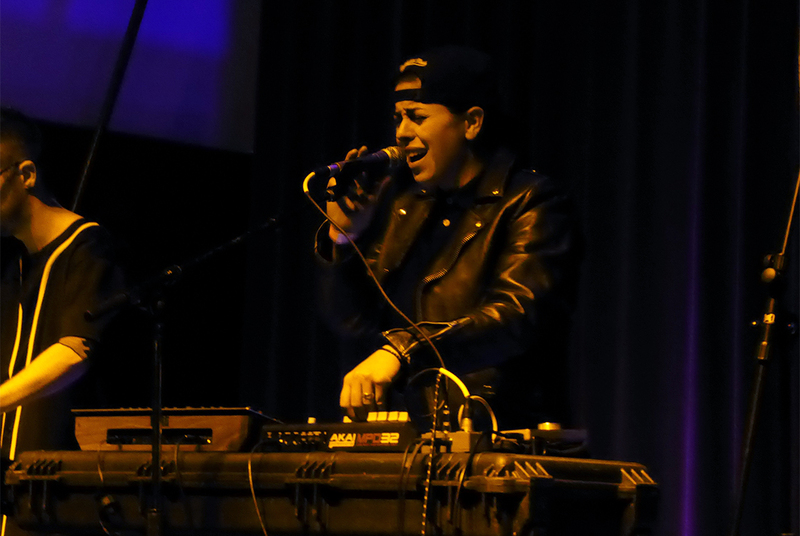 After her performance in San Francisco, Kmeto generously offered to answer some of The Bay Bridged’s questions about her new single, “Pour Down,” her live performances, and how her identity informs her work. 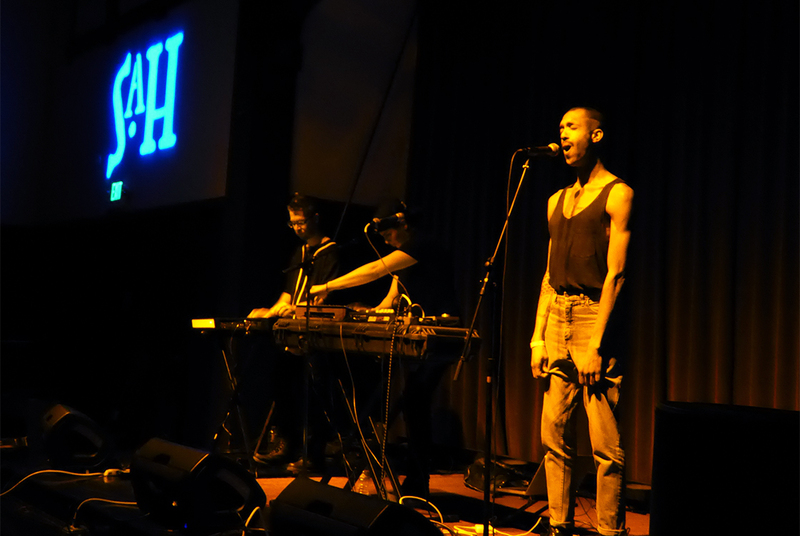 The Bay Bridged: I've read that your live performances impact the way that you produce and record music. What do you do live that inspires you? 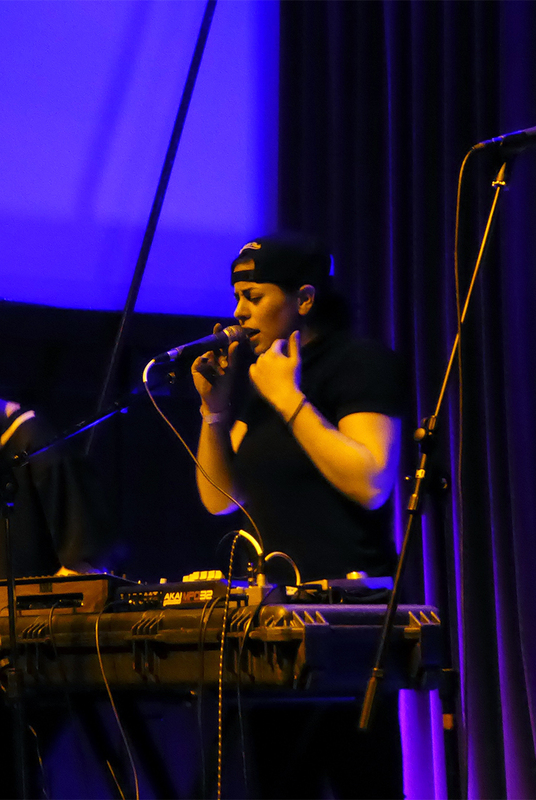 Natasha Kmeto: I think mostly it's thinking about how to fill a room with sound, and what kind of sound and what kind of dynamics to best portray the emotions I'm trying to explore. Live performance allows for instant feedback about those types of things which I think is amazing. it's very informative as well. TBB: When did you start producing music? NK: I've been writing since I was a young teenager, but I started producing in a digital platform when I was in school. TBB: Do you write lyrics and produce music in the same place? How does your approach to those processes differ? It kind of all happens at once. It's very much akin to sitting at a piano or sitting with a guitar, I just happen to use drum machines and synths instead. Usually my best songs start with melodies that lend themselves to perfect cadences of words, which helps me establish the tone and direction of the composition which then helps me fill out the rest of the lyrical story. TBB: I love the vocals on your newest release, "Pour Down." Do you generally produce your vocal arrangements at the same time that you produce the rest of the track? NK: Thank you! I do usually arrange all of the vocal parts as I'm writing. TBB: The lyric "I understand / I could never be your man" really stood out to me. Could you tell me more about your intention behind that line? NK: That line has to do with my experience in the music industry and the world at large that is very much a boys' club. I wanted to say something that speaks directly to the reality of the patriarchy. TBB: In your eyes, how does "Pour Down" compare to your previously released work? What have you been able to accomplish on the track that you don't feel you could have accomplished before? NK: I think it's the best song I've ever written, so far. It's bold and honest but is also empowering. I don't think I've always written totally uplifting music so it's a change in that direction. TBB: What are you looking forward to, as a musical artist? Are there any projects you are looking ahead to? NK: I'm really looking forward to releasing my new single and beyond that I'm eagerly anticipating having time to start work on another album. I'm also looking to spend some time producing and DJing some instrumental music under my new DJ alias. TBB: I've noticed that nearly all of your press summaries, as well as almost all of the headers to articles about you, specifically mention your queer identity. How does that make you feel? NK: I want more discussion, positivity and movement around narratives that are under-represented in our culture. I want to share my experience and emotions and being a queer woman is a part of that. I hope that everyone from every walk of life can find something in it. I was closeted for a long time mostly out of complete lack of strength in role models, community, and visibility. I think that's changing and I welcome being a part of that change. It's Giving Tuesday! Support San Francisco Bay Area Music and Come to our Fundraiser!